The page contains the Side Mission, “The Secret Project” which takes place on Eos. Upon looking around the abandoned Site 1 on Eos, the Pathfinder team finds a note that leads them to Site 2 to unravel something the previous inhabitants have found. Hop into the Nomad, heading for Site 2. Be careful, as the route to Site 2 is beset with radiation clouds. Once you enter Site 2, you officially enter a safe area. Scan the area. 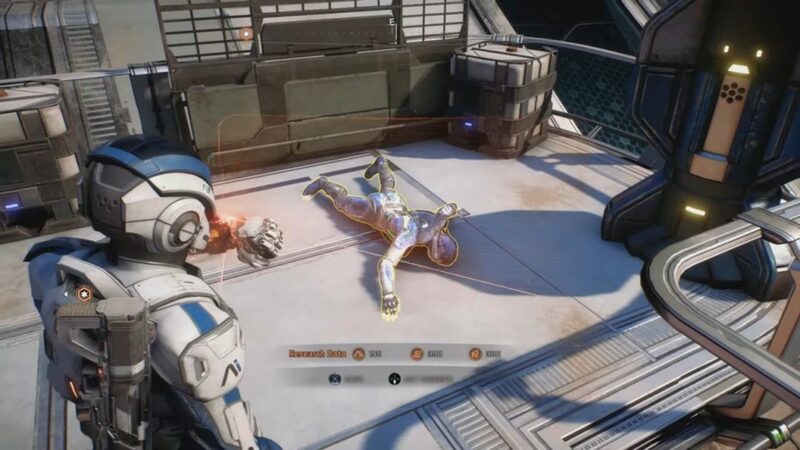 You’ll find a dead asari on the second landing of the facility. You can head up the stairs and enter the top floor. SAM tells you that he can reconstruct a previous conversation. Scan the holographic figures to figure out the fate of this installation. Head down the stairs and look around. There’s a supply box in one of the rooms on the first floor. Scan the area for anything important. Head to the power terminal and activate it. The kett are closing in on your position! Most of the Kett thrown at you are chosen and anointed. Take them out and focus on the big guy–the fiend. The best way to take him out is to use flamethrower on him to whittle away at his health. Once that’s over, loot the area. Head into the first floor south west. Ryder and the gang wonder if the Kett removed the humans from the Site. You’ll find a component for site 2’s project lying on the floor. Take it. Head to the adjacent room. On the left side is a terminal. Take the component. Head to the alien ruins next. The next component is in the kett facility with the dead human inside. SAM gives you the location of the Secret Project. It’s across the lake. On the first floor of the nearby facility, you’ll find the Adapted Initiative core tech. 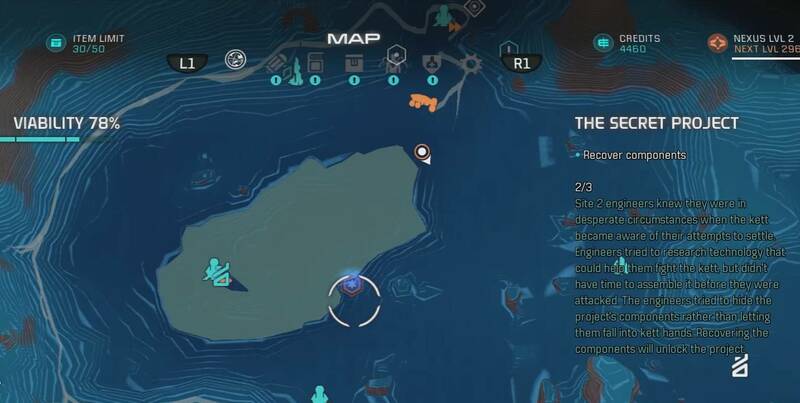 So why does your teammates tell you to go to a research station to see what you’ve got? I can’t find anything?? ?